This sweet girl was one of those “unicorn” babies that comes in and doesn’t make a peep the entire time. Her gallery was huge because I just kept going with poses and setups – she slept through it all! The timing of these sessions is what can really make a difference. Baby S came in for her session at only 7 days old – still within that maximum sleepytime window before babies start to spend more time awake and alert during the day. Her parents also followed my prep instructions very closely which can help make sure baby is super sleepy when they arrive to the studio. 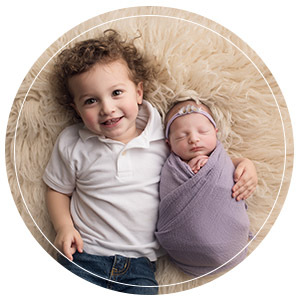 Julie Freitas Photography is based out of Beverly, MA but serves clients from all over the Groveland area including Georgetown, Haverhill, Boxford, and Andover. All sessions take place in Julie’s studio which is fully stocked with beautiful props, bonnets, headbands, blankets, and other accessories.